3 How to Download e Aadhaar Card Online? E-Aadhaar card download– Hello readers, welcome back to avjtrickz. Previously we posted about how to change or edit aadhaar card data online or offline. 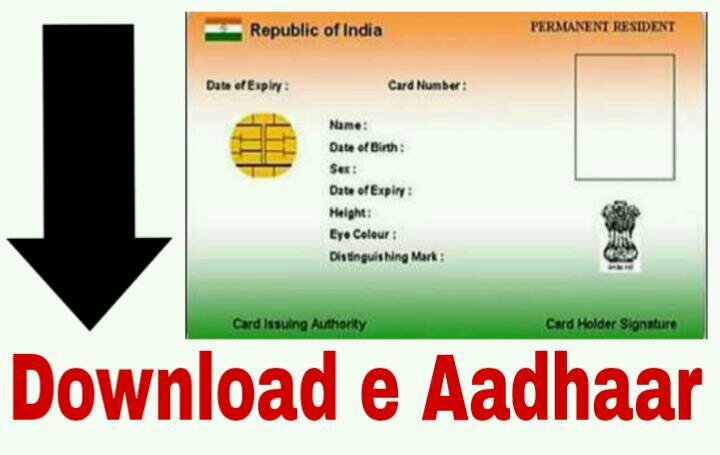 In this post we will explain about e aadhaar card and it’s downloading process. It is a soft copy of your original aadhaar card. If you requested or change any data on your card online, you can store this in your Phone and Computer until you receive the Real Updated Card through Post from UIDAI. Follow the below instructions to download it from online. How to Download e Aadhaar Card Online? Firstly 🔗Visit e Aadhaar Card Download Page. You will see a small form to Download. Just fill it following the instructions below. Select Aadhaar option in “I have” field. Then enter your Aadhaar Card Number, Full Name given on your Card, your PIN Code, Enter the Text/Number you see in the image. (For Verification). After filling these details, click on Get One Time Password button. You will receive OTP on your Aadhaar Card Registered Mobile Number. If your mobile number is not registered previously, read how to register mobile number in Aadhaar card. Just enter it in the OTP field and click on Validate & Download button. That’s it. Download will Start automatically. The e-Aadhaar Card file is Password Protected. So What is the Password to Open it? Well, Password is your Postal Code i.e., Your Area PIN Code according to Aadhaar Card. Just enter PIN Code as Password and the file will now open. That’s it! How to update / change Mobile number, Name Address, DOB on Aadhaar Card Online or Offline? Link Mobile number with aadhaar card. Previous articleHow to Change Name, Address, Mobile Number, DOB in Your Aadhaar Card Online or Offline?